Christmas Carols are such a lovely idea for a rowalong. No matter where we are, there is something special about Christmas. For me, music was always such a big part of Christmas, and who could not feel that trill of excitement when the familiar music was brought out ready to practice for another season. Candles, Christmas eve, and music, that is the most magical feeling. I've chosen 'the Angels and Shepherds' as my carol. However there is so much beautiful Christmas music about the angels and the shepherds, who can really choose? I wanted to evoke that Christmas night feeling of hope and expectation under the still starlit sky. Both of these charities support women. Days for Girls provides reusable Feminine hygiene products to keep girls in school when they have their period, and hence better their chances of a higher standard of living throughout their lives. Hamlin Fistula fund provides fistula operations for women suffering childbirth injuries. Dr Hamlin is an Australian doctor based in Ethiopia. They not only treat patients and provide follow up care, but they also have several colleges training midwives with the goal of eliminating obstetric fistula. This pattern is made with a pieced background and raw edge applique figures. 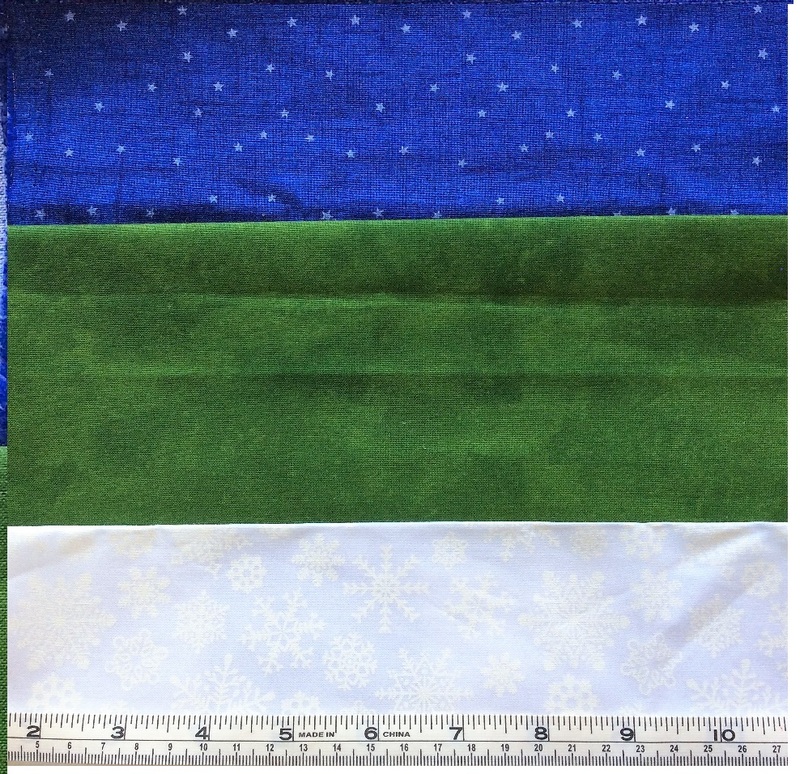 If you want needle turn applique, I've done one set of templates with seam allowances, but I've chosen to go with raw edge applique anda small machine done blanket stitch so I've included a set of patterns without seam allowances but which ARE reversed. "Peace and goodwill to the world now we sing"
The pdf gives you instructions and templates for all the background and applique pieces, a full size picture of the entire block to help with placement, and foundation piecing templates for the background if you want to foundation piece. I've also (just) worked out how to make a great big pdf so you can print the foundation piecing template and block outline in one go at a print shop. I will set this as a second download. The entire pattern is in the first download but it prints out on A4 and some of the pages will need sticking together. I do hope you enjoy my pattern and I would love to see it made up, so feel free to comment and share your work. I've gotten really excited about Christmas Carols, and now I'm working on one about the coming of the magi: "On the march, we saw three monarchs proud, the fabled wisemen with their trappings gay and brilliant". I admit it's basically because I want to do camels with tassels and heaps of decoration against a desert dawn. So check back in a couple of weeks and see how far I've got. The patterns are great and I wish I had time to make them all. There are three rafflecopter giveaways following, so do keep reading and good luck. Please thank the sponsors by liking their facebook pages and making a comment. It is so awesome to have such generous people running businesses. I really do appreciate it. Please click the rafflecopter link to enter. Thank you to the generosity of Ackfield Manufacturing for this extremely cute 12 inch quilt hanger. It's just the thing for your quilt room or as a special gift to accompany a cute wallhanging for a friend. You can find the rafflecopter link at the end of this post. 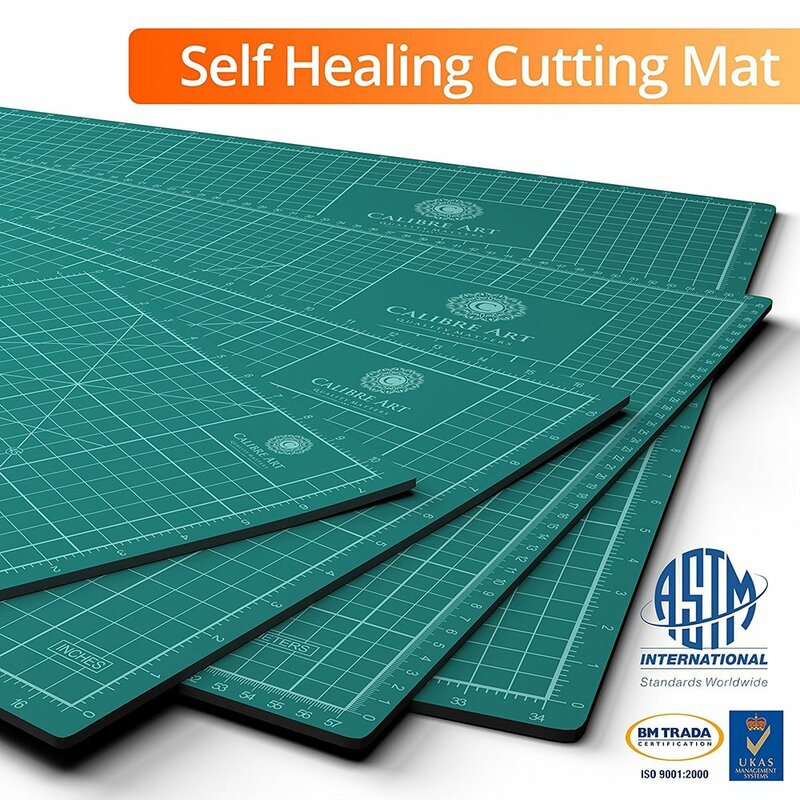 Many thanks to Calibri for a giveaway everyone needs.... a self healing cutting mat, 12 x 18, a perfect size for workshops and coffee mornings at a friend's place. To enter please click the rafflecopter link. This link will only last for one day. It will go live on October 3rd and finish on October 4th.